Adelaide midfielder Matt Crouch kicked off 2019 with an impressive 40-disposal game on Saturday night, as brother Brad Crouch returned to the field for the first time since the 2017 AFL Grand Final. The 23-year-old has become a prolific ball winner for the Crows over the past two seasons and his Round One performance was no different as he recorded 17 contested possessions and four tackles. He was also one of the most efficient Crows, running at 77 per cent. Brad delivered a solid performance on return, the 25-year-old collecting 28 disposals, 10 contested possessions, six marks and a team-high four centre clearances. He also booted two goals for just the third time in his career, and for the first time since 2014. 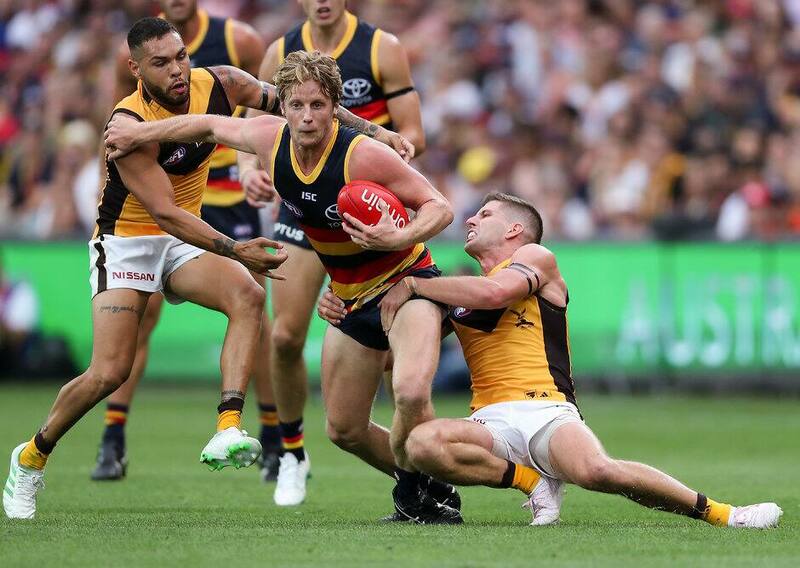 In his first AFL game as co-captain, Rory Sloane’s 36 disposals fell just two shy of his career-high 38 against West Coast in Round 23, 2017. Sloane has hit 36 before, in Round 21, 2011, while he nearly matched his personal best contested possession count with a team-high 22 against the Hawks. He also led the Crows with 11 clearances and nine tackles. Backing up his impressive 2018 form, Wayne Milera Jnr was one of the most efficient players at 84.6pc, while Eddie Betts extended his goalkicking run to 15 AFL games. With two goals, Betts moved to 275 Club goals, equal-fourth on the all-time list alongside Andrew McLeod and one ahead of Josh Jenkins. Defender Alex Keath had a team-high 12 intercept possessions and six intercept marks. Jake Kelly also stood tall with nine intercept possessions and six spoils, and he worked at 76pc efficiency from his 25 touches.